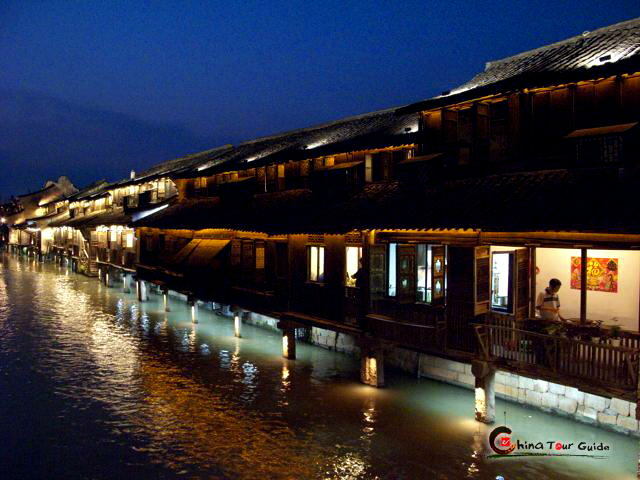 Located in the city of Tongxiang, north of Zhejiang Province, Wuzhen is a famous ancient water town with a history of two thousand years. 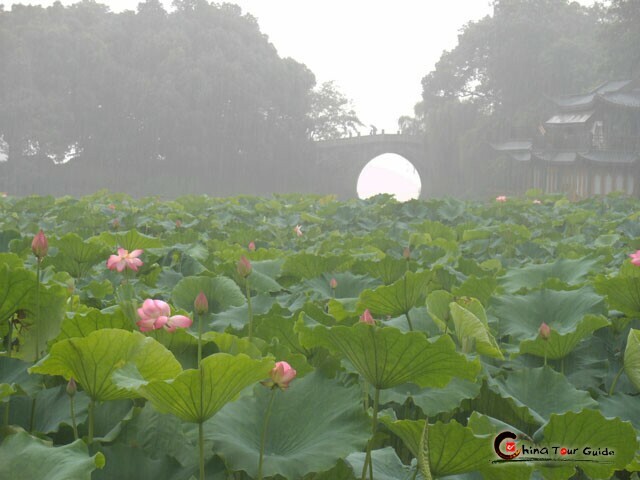 It lies within the three city triangle of Hangzhou, Suzhou and Shanghai. For hundreds of years, its residents have been building houses along the rivers and trading near the bridges. A number of historic structures built according to the architectural codes of the Ming and Qing Dynasties still remain as they were. 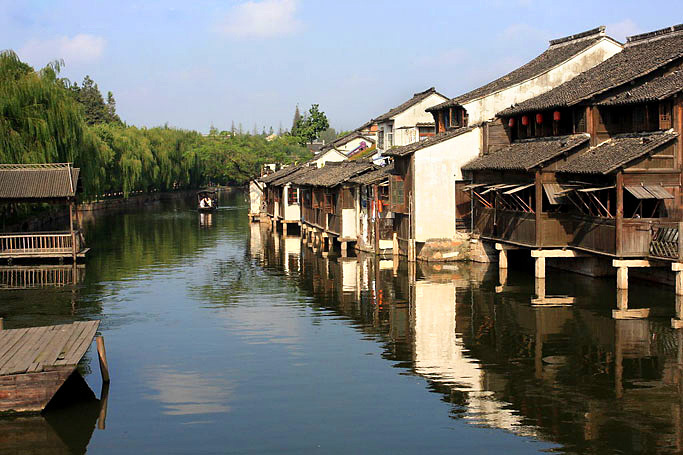 Strolling along the ancient stone-paved streets, looking at the black tiled and tung oil painted timber houses, it seems almost as if you are walking into a traditional Chinese painting and experiencing the sights of ancient China firsthand. Wuzhen is at its best on rainy days. Strolling with an umbrella along an old lane past the centuries-old wooden houses and seeing the rain flow off the engraved eaves that cover the doorways is an amazing experience. The falling raindrops cause ripples on the river surface, while boats travel to and fro. The waterside pavilions, corridors, and arched bridges, are shrouded in drizzle. This serves to deaden the background noise, encourage contemplation, and add to the romance of the town. 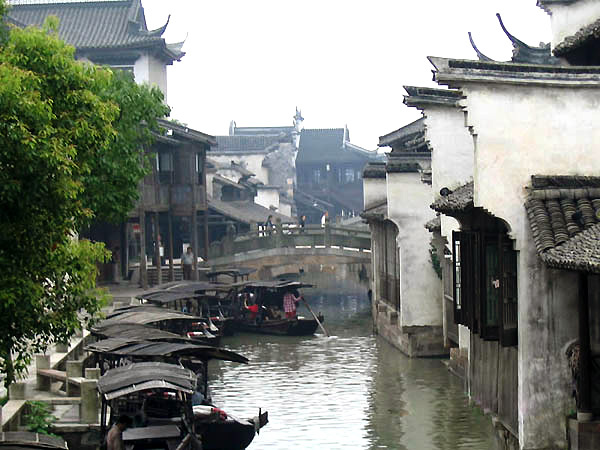 The Wuzhen water town is also famous for unique folk customs practiced there such as Boxing Boat, Hua Gu Opera with local character, Tai Ji, and Gathering Pilgrim. These are entertaining and educational. 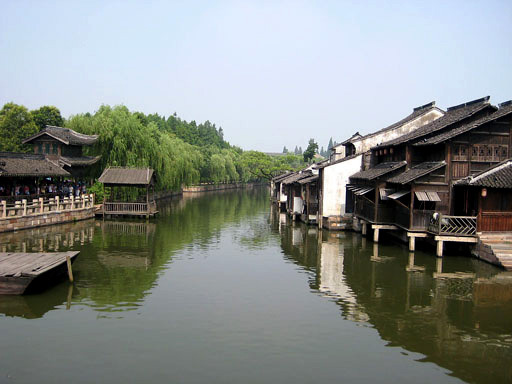 People in Wuzhen now live a simple life. Many of them breed silkworms and raise chrysanthemums, and they have mostly retained the tradition of buying fruit and vegetables from trade boats through the windows of their waterside houses. They benefit from an inherited harmony of man and nature and enjoy the pleasing living environment that comes from social progress.